I found some interesting research work recently. Attackers have a new technique that can be used against your websites: HTTP DDOS. Researcher by Wong Onn Chee discovered a way to cause a website to be slow and even take it down via a technique where POSTs are sent to a website slowly causing gridlocks the connection. It's similar to the Slowloris HTTP DDOS attack by RSnake, however this slow POST attack can't be mitigated by load-balancers like the Slowloris one can. Interested in WRITING malware? Go to MalCon. Heh. I've heard it all. 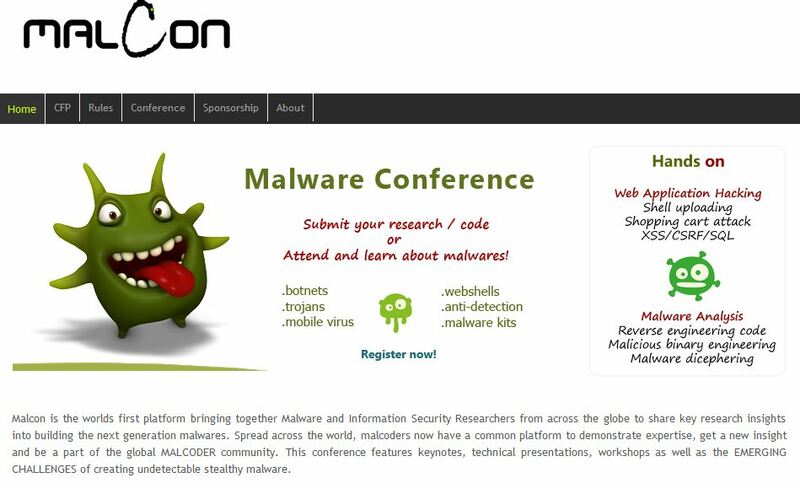 Now the malware authors have their very own conference where they can learn and teach about writing malware. Their website claims to bring together "Malware and Information Security Researchers from across the globe to share key research insights into building the next generation malwares." Okayyyyy. I'm not sure whether this is a hoax or legit but according to Brian Krebs of Krebs on Security fame it's legit, or at least he spoke with the organizer of the event about it. The word is that Bruce Schneier is one of the leading speakers. This is interesting and seems to lend credence to its legitimacy. Not sure who will be attending but my guess at the very least there will be a few LE and government security types "hanging" around this conference. Google CEO Eric Schmidt stated in a talk at the Techonomy conference in Lake Tahoe that 'true transparency and no anonymity' are required to combat identity theft. He said the increase of information generated every day has helped social interaction but created a condition that helps identity theft thieves. He said there needs to be a verified way to identify people and that Governments will demand it. My concern would be the procedures and policies surrounding the protection and use of this identity information. The information will need to be protected and how it will be accessed will be critical to whether the system is successful. If run poorly it could actually increase identity theft cases. I just recently discovered this great post by web app security guru Rafal Los about how via SQL injection he was able to (if he hit the button) compromise an internal LAN. Nice. Check out Rafal's cool blog. I discovered an interesting project the other day where 4 software developers are embarking on a project this summer to develop an open source, distributed, privacy-aware social network. It sounds kind of like what Tor is for surfing this network is for socializing. In the video on the main page they complain that they don't want a central hub handling their messages to their friends. It's an intriguing project and one that has attracted quite a few supporters. I know this because they launched a donation website where one can donate to their project and receive certain benefits. They said they need at least $10,000 to fund the development of the project: as of 12:00 PM UTC on Sunday May 16 they have 4,493 backers who donated a total of $168,730. 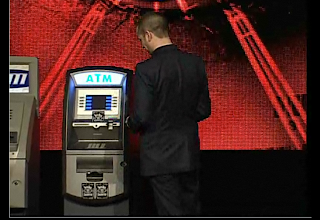 I wonder what they'll do with the extra cash. I forgot to mention in my last blog post that we are accepting submissions from presenters and trainers for the Information Security Summit on October 11-13 and 14-15, 2010. CFP submission deadline is May 15, 2010. We look forward to your participation. Dates have been announced for the 8th Annual Information Security Summit. This years event will take place October 14-15, 2010 at Corporate College East in Warrensville Heights, Ohio. Pre-conference training class will take place on October 11, 12, and 13. Corporate College East is located at 4400 Richmond Road between Harvard and Emery Roads In Warrensville Heights. The facility is easily accessible from Interstate 271. Last years event featured keynote talks from well respected industry leaders Richard Bejtlich, Grady Summers, Joel Snyder, and John O'Leary; over 30 sessions; and attracted over 400 security professionals. The event was a huge success and we will be building on that this year. Registration is open, take advantage of early bird pricing of $250 before July 1, 2010.